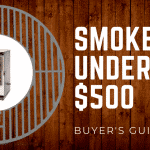 Best Smoker Under $200: Camp Chef Smoke Vault 18"
Finding the right smoker can be daunting and there are typically some questions that arise during the process. Will this be the right one for me? Will this fit my needs? What are recent customers saying about it? Is this within my budget? No need to worry, we’re going to answer every questions with ease. 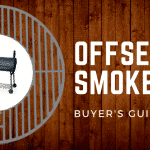 In this article, we’re going to review a handful of great models and help you find the best budget smoker! We’re going to work our way up in price and cover our pick under $60, $75, $100, $150, and $200. As we know, smoking and grilling can quickly become and expensive hobby. There are a plethora of smokers on the market today that are nearly a thousand dollars - something some of us would definitely like to avoid. But quality doesn’t have to suffer as a result of settling on a smoker that is less than ultra pricey ones. We can’t wait to show you which ones made our list! Let's take a look at the top models that made our list for the best budget smokers! 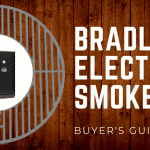 Temperature has been know to be inaccurate with some customers - be sure to check out our article on the Best Smoker Thermometers for a great one! First, and our top pick for the best budget smoker under $60 is the Masterbuilt Charcoal Bullet Smoker. This popular model is one of Amazon’s Choice and for good reason. For it’s reasonable price, this little bullet smoker is just that - a bullet who’s killing the smoking game. We’re going to review the best features Masterbuilt packed into this model then take a look at the pros and cons mentioned by recent customers. Let’s see what’s expected with this purchase! 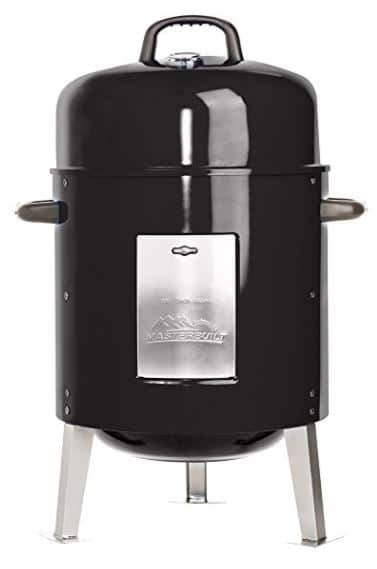 Second on our list and our pick for the best budget smoker under $75 is the Char-Broil American Gourmet Offset Smoker! 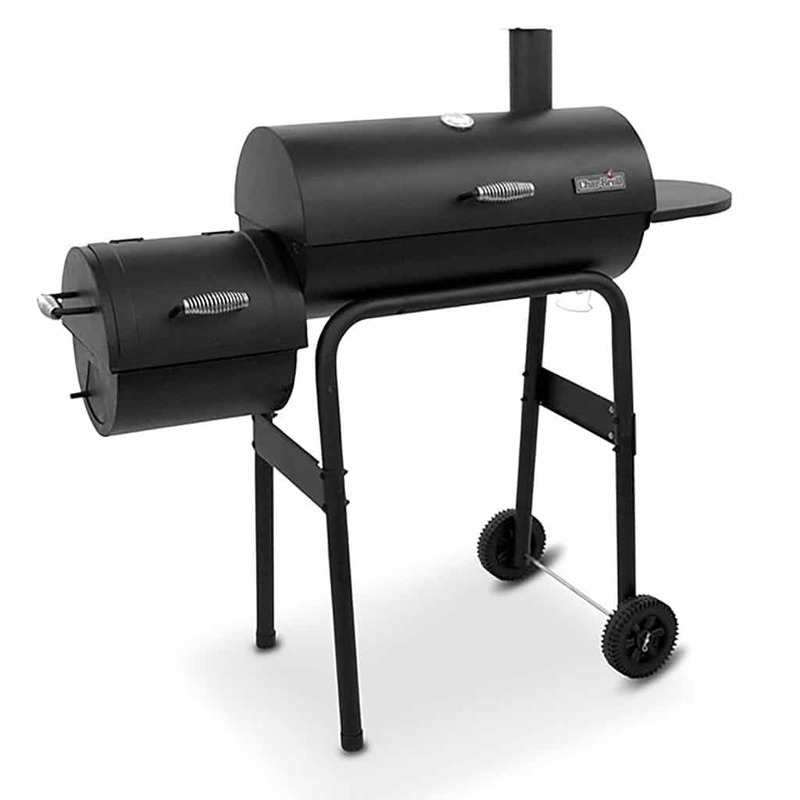 The standard smoker is the model we’ll be reviewing today but we want you to know this smoker also comes in a deluxe and deluxe plus charcoal starter edition. 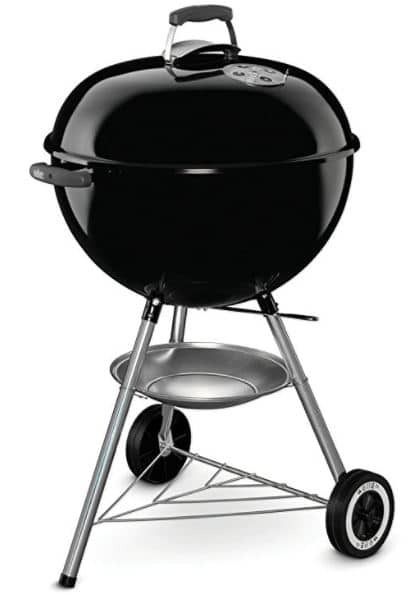 This model also made the list on our Best Grill Smoker Combo article! Without further ado, here are the main features! Coming in next is the Weber 741001 Original Kettle and our pick for the best budget smoker under $100! In an act to replicate the kettle that we all grew up with, the Original Kettle is the perfect grill for campers, griller, entertaining, and even expert chefs. There’s no reason to reinvent the wheel. 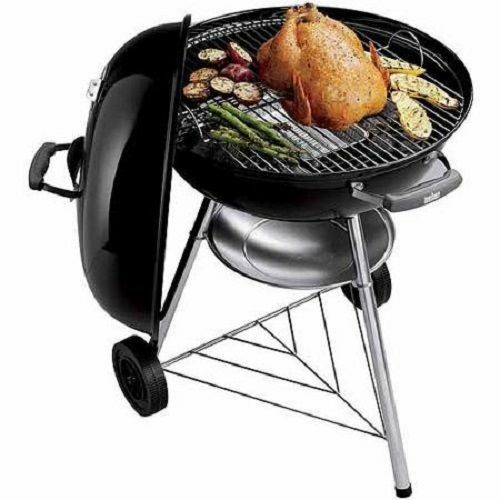 Weber knows what works and offers an amazing model to be loved by all. Before we cover the pros and cons, let’s check out the main features. 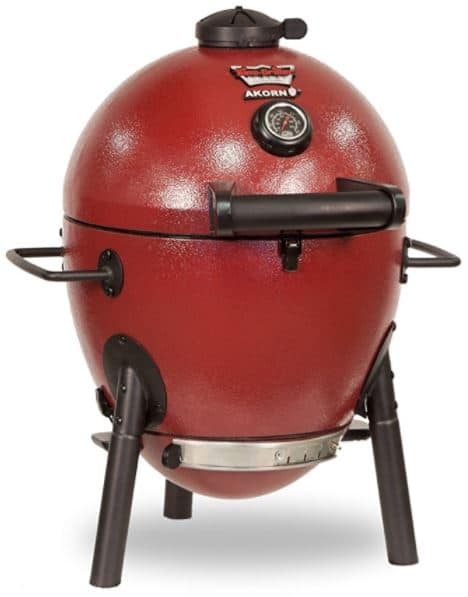 Number four on our list and the best smoker under $150 is the Char-Griller Akorn JR. Kamado Kooker Charcoal Grill! This compact design is ideal for a number of different environments and can easily be taken on trips. This is perfect for single chefs, family outings, and year-round smoking sessions. Let’s have a look at the main features then see what recent customers had to say about their experience! 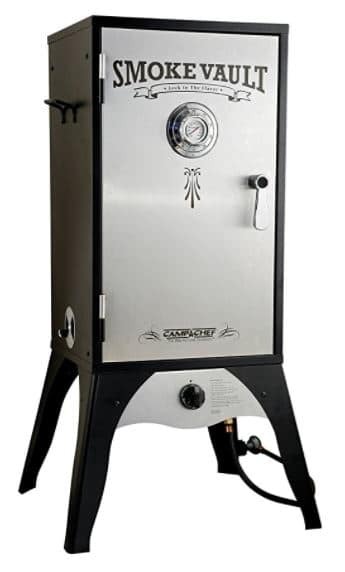 The Camp Chef Smoke Vault is an outstanding smoker designed to lock and secure meats or veggies, safely storing them until you’re ready to indulge. The sleek and professional design of the 18” model we’ll be reviewing is beautifully constructed and features an eye catching stainless steel door. Proudly carried by the Smoke Hollow name, this smoker is crowded with features. 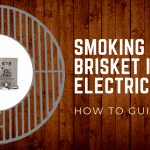 Let’s take a look why it made our list for the best budget smoker under $200! In the end, we hope we’ve contributed a great deal toward your next purchase and smoking excursion. While the Camp Chef is our top pick, that doesn’t mean that the others won’t serve you well. 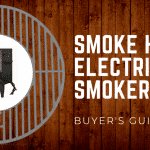 When it comes to picking the perfect smoker, there are a ton of things to evaluate, including budget. The products we’ve outlined all come with a great deal of benefits but surely there are qualities to be weary of based off recent customer’s history. 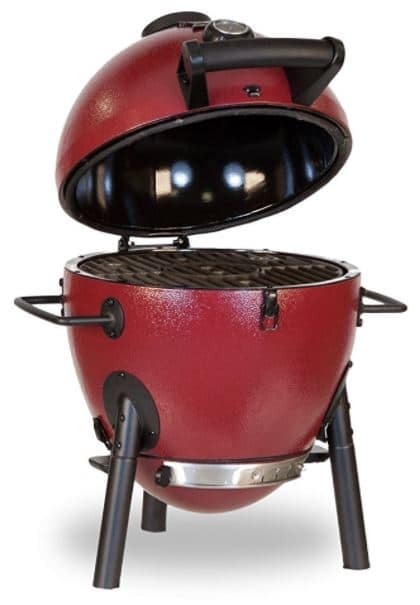 The bottom line is - out of these smokers, our top pick is the Camp Chef Smoke Vault 18". It was hard for us to find things that people didn’t like, it’s simply a great valued, well-rounded smoker. If this review was helpful (or not helpful for any reason), be sure to leave a comment below. We love hearing from readers and can’t wait to hear about which smoker you settled on. Happy Smoking!